Candy has become such a large part of our culture as merely a sweet treat that it's hard to believe that it once was actually intended for health benefits. The first candy belonged to the ancient world and was sweetened with honey as sugar was not as easily or widely available, and generally intended for soothing a sore throat or aiding the digestive system (hence the peppermint candies). These combinations of honey and spices were served by the wealthy at parties or banquets to their guests. Candy first enjoyed popularity in America in the early eighteenth century, by way of Europe. Increasing availability of sugar made it a little more accessible by the common people, especially children. 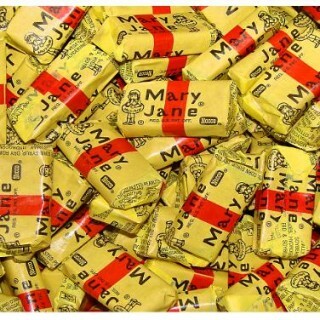 Penny candy, a descendant of sugar-coated lozenges, became the favorite of children everywhere.By the late 1800's, methods had improved enough that several people alone could run a successful candy business, and the output increased. Soon, America was enjoying candy for what it is - a sweet and satisfying indulgence that brightens your day. Candy has come a long way since the early days, but some of the vintage favorites are still going strong, and with good reason. In addition to the novelty factor, they're often made from just a few quality ingredients, and often reconnect us with our childhood. 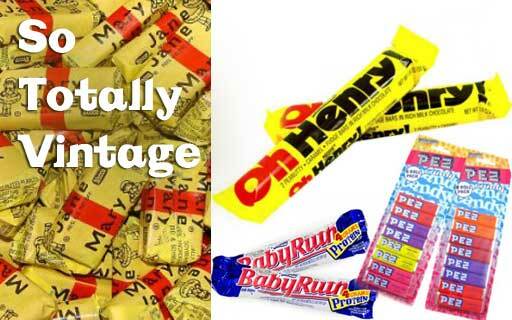 What's your favorite vintage candy? Here are a just a few of ours, and the stories behind their sweet existences. They're perfect for a candy buffet, stocking stuffer, or just because, and will bring smiles to any occasion. 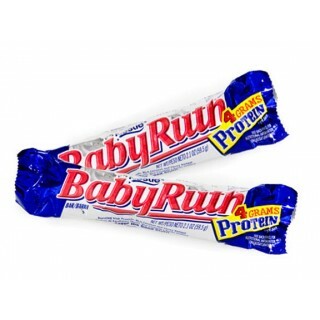 Don't dismiss this candy for it's modest appearance. Charles N. Miller first introduced this plain yet delicious treat in 1914. Named after his favorite aunt,the peanut butter and molasses Mary Janes are dairy, egg, and gluten-free and prove that the simplest of pleasures are often the best. There are several different versions of how this long-time favorite got its unique title. 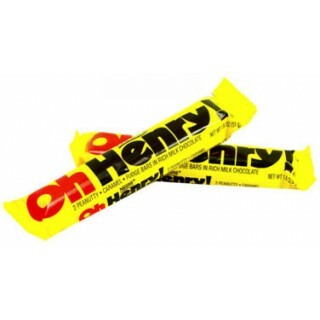 But whether a nod to American writer O. Henry, or affectionately named after a charismatic young man that frequented the factory to flirt with the girls who made the candy, it began its early life in 1919 as the Tom Henry candy bar.Officially changed to Oh Henry! in 1920, the combination of peanuts, caramel, and fudge is now made by Nestle, and one of the oldest (and most delicious!) confections around. 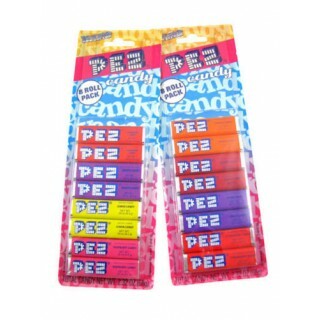 A large part of many childhoods, Pez's origins are a little surprising. It was invented as a breath mint in Austria around 1927 by Viennese candy-maker Eduard Hass III, much like Altoids, and also marketed as an alternative to smoking in small dispensers shaped like cigarette lighters, known as "regulars." It wasn't until 1952 that Haas introduced his "mints" to the United States, and in 1955 the Pez company began to manufacture the well known dispensers that so many remember from childhood, Mickey Mouse and Santa Claus being among the first original characters.Including the older and "retired" flavors, Pez has been manufactured in at least 25 different flavors. In 1921, the Curtiss Candy Company refashioned its popular Kandy Kake into the Baby Ruth. Though most people believe that the candy bar was named after baseball legend, Babe Ruth, the Curtiss Candy Company traditionally claimed that it was named after President Grover Cleveland's daughter, Ruth Cleveland. But many people believe that that this was nothing more than a story fabricated in order to avoid paying royalties or negotiating an endorsement deal with the Yankee slugger.Be sure to browse through our selections of novelty and vintage candy to find YOUR favorites!